Welcome back, beloved Patrons! I’m here with the third and final chapter of The Faerie Princess, it’s shorter than the previous chapters but what it lacks in length it makes up for in sheer WTFness. The previous chapter, much like this one, began right where the preceding chapter left off – with some generic fun-in-the-sun frolics. Our Mary Sue, Azura, fell asleep while sunbathing and then was transported via :mumblety-mumble: to some unknown but bleak and ruined landscape where she climbed a tower made of vines with a broken arm. Once inside the tower/palace, the sparkly MacGuffin necklace led her to a fountain, which pulled a Transformer and opened up to reveal :more mumbling: and there was a lot of glowing going on. That’s pretty much where we are now. Hello again, guys, and welcome back to our first fic on break from Parallel Realities. Today, we continue our journey into HLR’s non-descript world that’s been taken over by the New World Order. I have no idea how the hell they run the world, but that’s okay, because he’s just going to say “that’s bad” and we can totally take him at face value on that. But seriously, it only gets worse from there. So let’s jump right in, shall we? I’m a big fan of the anime style, as are quite a number of artists judging by the large volume of works available in the style. 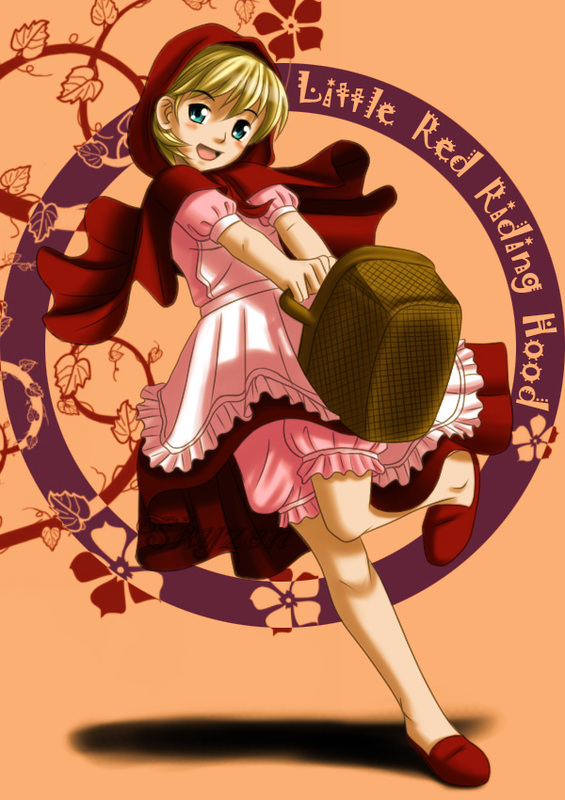 This one is Little Red Riding Hood, in case you couldn’t tell. 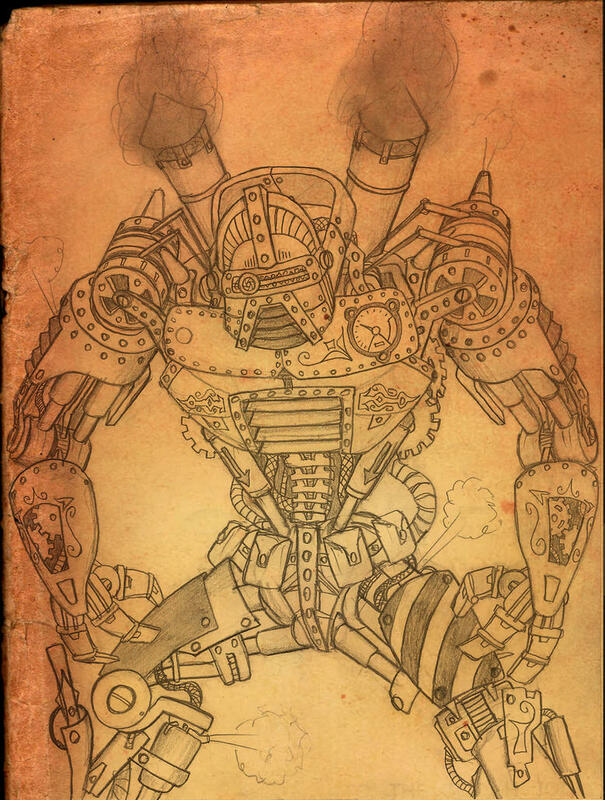 Art-tastic Monday – It’s a Cylon! I’ve never seen Battlestar Galactica in any form, so as far as I know this is what a Cylon looks like. Maybe. If it is, I’m missing out on an awesome show. Aloha, dearest Patrons, and a Happy Black Friday to you all! Thank you for taking time out of your busy shopping schedule to read my ramblings. I’m back with the second chapter of The Faerie Princess, titled The Faerie Realm. If you’re just joining me, let me fill you in on what happened in the first chapter. It was a fairly standard “getting to know the characters” chapter in which the audience is introduced to four surfer boys of unknown age and three (possibly four) girls who have gone diving for shells without the proper equipment in an area poorly suited for the sport. One of these girls, a budding Sue named Azura, finds a pendant on a silver chain partially buried in the sand. As she puts it on, something approaches her suddenly and from behind. Hello, children. Well, we’re on break from Parallel Realities again. Thank goodness for that: I need to stop thinking about how horrible it is. And what an opportunity it is: I don’t have to deal with that fic on Thanksgiving! So happy Thanksgiving, patrons! Have fun stuffing yourself with turkey and all that delicious stuff! To “celebrate” this occasion, we’re going to start looking at a Star Fox fic that was actually deleted. But this time, there is actually something about this fanfic to be thankful for: namely, that this author realized how crap his story is and deleted it. But whatevs, decided to delete some of my stories because I began to learn a few things about writing when it comes to OC’s and whatnot. I want to try my best to be a much better writer than I was before I jumped off for a while, I want to do my best to make my OC’s much more well written than my previous ones. I will do everything I can to be a better writer than I was previously. So at the end of the day, this author has managed to learn from his previous mistakes. And from the looks of some of his more recent stories, it seems that he’s actually learned a few things: the Sly Cooper story he has now isn’t really great, but it’s a lot better than the story we’re snarking today in a lot of respects. And you know, it’s a good thing that this author saw how bad his OC’s were, because trust me, this story hosts one of the most epic Gary Stus I have ever seen in my life. Now, he may have realized how bad it is, but does that stop me from snarking it? Nah. So without further ado, here we go. Last time on A Jedi’s Destiny Markus Stu once again began to have his status slide from hero to distrusted heel among those in the valley… for only like the fourth time in 8 chapters. In a spectacular display of diabolical douchebaggery, he throws Cera under the bus in order to simultaneously avoid direct conflict with the residents of the valley, and to deliver a crushing emotional attack against Threehorn, Cera’s father. The end result is Threehorn being a quivering pile of emotional wreckage, and the rest of the valley once again holding him up as a God among them. Dude, if this is our hero, one wonders what kind of low the villains are going to need to stoop to in order to seem worse. Eating baby chipmunks would be a good start.